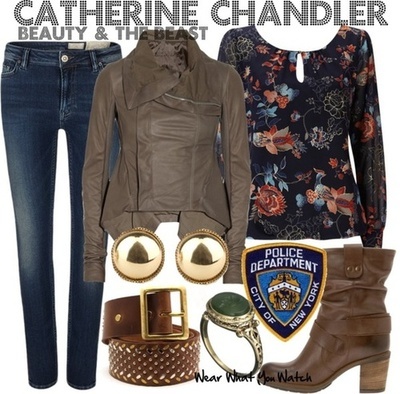 Catherine Chandler's Wardrobe. Inspired by Kristin Kreuk as Catherine Chandler on the CW series Beauty and the Beast. Wallpaper and background images in the Beauty and the Beast (CW) club tagged: beauty and the beast cw kristin kreuk jay ryan awesome show 2012. This Beauty and the Beast (CW) photo contains battle dress, green beret, special forces, and elite soldier. There might also be fatigues, outerwear, overclothes, and full dress uniform.